There is a family of Mockingbirds (https://www.google.com/search?q=mockingbird&oq=mockin&aqs=chrome.0.69i59j69i57j0l4.2524j0j7&sourceid=chrome&ie=UTF-8) in one of the large trees covering our driveway. The parents are extremely protective of their little ones. Late this afternoon, after spending most of the day working on a project, I set fire to a pile of debris that contained several downed limbs from the past month’s storms. I plopped down in a lawn chair watched the fire and then something interesting caught my eye. One of the Mockingbird parents was chasing a Turkey Vulture (https://www.google.com/search?q=mockingbird&oq=mockin&aqs=chrome.0.69i59j69i57j0l4.2524j0j7&sourceid=chrome&ie=UTF-8#q=turkey+vulture) who had come to close to its nest. It was dive bombing the much larger bird chasing it, harassing it, letting it know that it was a mistake to be in this area. There was something important and it was to be protected at all costs. 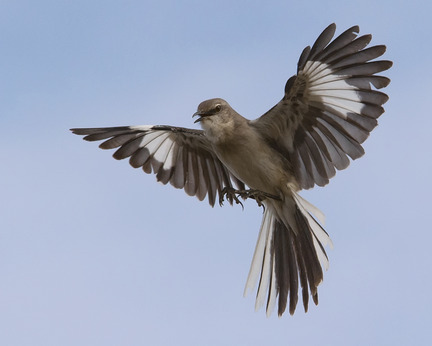 As I watched the Mockingbird triumphantly run the unwanted fiend off I thought about our lives. There are many things we claim as important, would declare meant a lot to us, but what would we risk our lives for? Die for? Fight against greater odds to protect and preserve? The answer to this question reveals a good deal about us. Knowing what we’re willing to never give up defending gives us insight into who we are and what means most to us.